When it comes to responding to children who behave badly, we have come a long way. In Roman times children, like wives and slaves, were seen as possessions of the father of the house. He had the right to beat and even kill them. Under the law children over seven were treated as little adults, liable to the same punishments for crimes. Even in 19th century England, children were sentenced to death, although the sentences were almost always commuted. In general, harsh punishment was a favoured way to encourage responsibility in children and adults. Today conventional wisdom no longer sees children as small adults, but as people growing towards responsibility and constructive participation in society. When they break the law, the response is usually to help them find a better way. They have special courts and supportive programs. The evidence overwhelmingly suggests punishment and incarceration are ineffective in encouraging responsibility. That is the theory. But in practice children often suffer in Australia because the welfare of the child is often trumped by the demands of a justice system focused on containment of risk and due process for wrongdoers. And that in turn is overtrumped by the the populist call to get tough on crime. 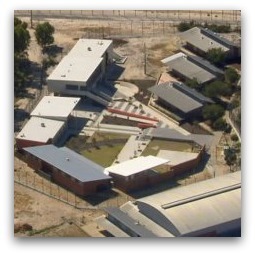 All this could be seen in the January riot at Banksia Hill Juvenile Detention Centre in Perth (pictured). It was overcrowded because the only other juvenile centre had been closed. Seventy per cent of the children there were Indigenous, and many on remand. After the riot the children were sent to Hakea adult prison. Deserving of particular reflection in this depressing story is the way in which throughout Australia children are routinely remanded in custody, the subject of a recent report. Remand is part of the criminal justice system. It follows apprehension by police and their decision to charge rather than to caution, and then to seek to have bail denied. On any night about 500 young people aged ten or more may be remanded in custody in Australia. Banksia Hill was typical in including a large number of Indigenous children and of children who have been remanded before. Although remand is an effective tool for managing high risk to the community, it does not encourage children to develop social responsibility. Many children on remand appear again in children's courts and graduate to adult prisons. This is understandable. Developing the capacity to overcome problems depends on a supportive environment, a sense of self-worth and helpful companions. Remand in custody provides none of these. Given the problems associated with remand, why do children continue to be put on remand? The reason is that, when apprehended, the child is no longer seen through the lens of their personal growth but through the framework of a justice system focused on impartiality and process in the application of law. In any society the rule of law is important in order to assure citizens they can live safely and that their legitimate interests will be protected. The observance of law is essential for the development and confidence of any society. The police contribute substantially to public confidence that the law will guarantee personal security and equity by apprehending law breakers and bringing them to justice. Their work naturally conditions them to understand justice as essentially retributive — about rewarding the virtuous and punishing the guilty. Other aspects of justice as restorative and as pedagogical are seen only as secondary. This focus, of course, is reinforced by populist views of justice which hold as dogma that the more severe the punishment, the more secure and crime-free the society will become. Governments commonly respond to such popular pressure by imposing more severe penalties and by reducing flexibility in sentencing. In this climate offending children are more likely to be seen as wrongdoers who are to be sanctioned, and as threats from which society needs to be made safe. In particular it will create a bias towards refusing bail by extending the understanding of risk of harm to the community. When the lens through which offending children are seen is judicial, and justice is seen as retributive, the support that society offers them to become responsible adults is inevitably fragmented and neglected. When they are held on remand, some of the supports that have been put in place for them will be removed. And others, from which they may have benefited, are restricted to children at another stage of the justice system. In this environment the destructive effects of isolation, lack of good mentoring, discouragement of personal autonomy, and exposure to destructive social values inherent in incarceration will be seen as an unfortunate but justifiable side effect of the necessary workings of justice. This poses broader questions for workings of the justice system itself, not just for its effect on children. The effects of remand form just one small example of the cost in human, economic and social terms that is incurred when policies do not focus on the concrete effects they have on human beings. A policy that damages people may gratify society briefly. But society will pay the price as resentment, depression and mental illness poison personal and social relationships into the next generation. Andrew Hamilton is consulting editor of Eureka Street and a policy officer for Jesuit Social Services. I think you have graphically illustrated that spot between a rock and a hard place which passes for the juvenile justice system in this country, Andrew. Obviously there exists that rare minority of individuals, both youth and adult, who are, for a variety of reasons, violently anti-social and who, with the best will in the world, it would seem impossible to do much with. With most it would require (quite expensive and therefore probably politically unpopular) major intervention at an early stage and continued support from a variety of personnel (youth and social workers; psychologists etc.) to change things. My wife worked at Minda Juvenile Detention Centre in Sydney in the late '90s. The kids who were there were almost entirely from Aboriginal, Vietnamese and Islander backgrounds. The only two Anglos were boys who, as a prank while they were high, had scared the daylights out of a prominent citizen in a small country town. In general, those who were there were there because they couldn't afford a lawyer or because they had been targeted by the police, who seemed only too willing to stereotype and arrest even for relatively minor offences. You would hope that 15 years later, things had improved, but evidently not. Andy, thanks for outlining this dilemma for us. Andy, thanks for outlining this dilemma for us. Marie. Andy I couldn't agree with you more. Having worked as a family therapist and with kids inside I have heard the many stories of pain that are expressed in expressed in angry ways that lead to time inside. So often the kids are carrying the emotional load of those around them. They are not bad kids just hurt kids who so often use drugs like alcohol or cannabis to try and escape their pain. And then as a society we fail to listen, exclude and just punish more. As a Barrister who works in the criminal law I share your concerns about a retributive law and order system which is run by secular agencies. It would be great if the Catholic Church was able to run a low-medium security prison (like it runs Hospitals). It may sound a trite observation, but when a client of mine is facing jail I know his two consituent parts are concerned: his body and his soul. The latter is far more important when a crime has been committed, but in a secular court room environment and with secular justic authorities, the soul is ignored and all the system cares about is what to do with the body. That is why our prisons have revolving doors. A jail which prioritises true contrition, confession, spiritual direction and firm resolutions to work for the common good would be a real blessing. Andy, as a relative of a current youth being detained at Hakea I would like to say thank you. Its refreshing to know someone other than the relatives of the children has some sense about this dilemma and in general a situation that should not have occurred.